This last weekend I spoke at the North American Collaboration Summit. 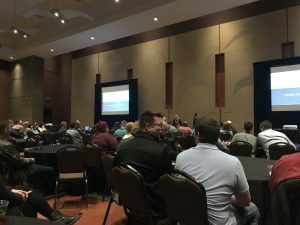 I’ve lost track but I think this was my 5th time speaking at SharePoint Saturday Ozarks/SharePointalooza/NACS. 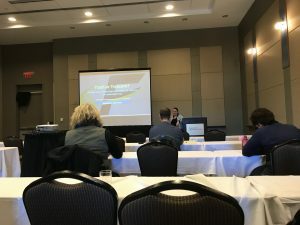 I always love going to Branson and I feel a little spoiled by having the shortest travelling distance of almost any of the speakers. As always, it was fun to see my clients and other MVPs and colleagues from around the globe. The attendee party had some fantastic brisket and great company. In the picture below you can see folks who travelled in from St. Louis, Minnesota, South Africa, and Seattle. It’s always special how SharePoint friends can come together from the distant parts of the country (and planet) for a SharePint. Mark Kashman (far right) presented the keynote at the conference, as he gracious did at St. Louis Office 365 Saturday in January. 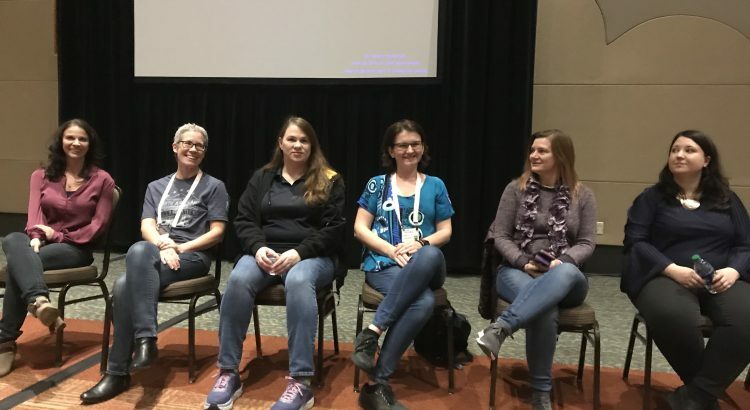 I gave a session on the Bot Framework and also had the honor of sitting on a “Women in Technology” panel with some other amazing women. It was encouraging to see how many of the women up front were speaking at the conference. Most of us are MVPs and many of us are business owners as well. Ostensibly this is the last year the event will be at Branson, which is a shame for those of us in St. Louis. However, I’m sure the event will continue, even if it moves locations. I highly recommend the event regardless, to anyone who can join us again next year. Love the “sharepint”! Looks like a great time!